Instant, Group messaging is all the rage nowadays, with emphasis on real-time information transmission allowing users to send and receive messages with other users, and including features like video calling, and use of chatbots, among others. Google on Monday announced Spaces, a new app for iOS, Android and also available as a web app, designed to make it easier to share items from the web in group conversations. It affords users the ease of group conversations and sharing of contents like photos, videos and documents without leaving the app, courtesy of Google search and YouTube integration. Luke Wroblewski, the product director for Spaces, in a blog post iterated the idea behind the creation of the app, stressing that "sharing typically involves hopping between apps to copy and paste links," and "Group conversations often don’t stay on topic, as things get lost in endless threads that you can’t easily get back to when you need them." Albeit, many other group messaging platforms exist, being able to share content without having to pause from a conversation to open another app, is one unique feature of Spaces. 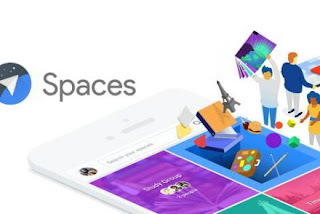 Google Spaces is quite easy to use, just tap on a board to create a space, title the space and save. Then, tap on "invite via" to add friends (via text, email, Facebook, etc.) to the conversation. Well, the fact that Google just announced a new app outside the Google+ clique is pretty interesting. Google Spaces: Group sharing around any topic made easy?